Summer has finally arrived and at Maya Road, we're excited to make the most of this glorious season. It's a time for sun and laugher, long lazy days, exploring new places and making memories. 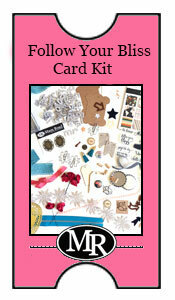 Creative Destinations is your ticket to creative fun and is our latest Classic Card Kit offering. Creative Destinations is a wonderful travel themed kit. We're loving the globe and camera accents and so many other fabulous inclusions. Creative Destinations has all you need to create 6 cards (and more). 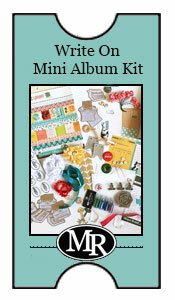 Envelopes, papers, trims, stamps, flair and fun exclusives make it easy to just open the package and get creating. All our kits are limited edition so if you want it, make sure you purchase it right away. Quantities are limited. Our Creative Destinations Kit Add-ons. So many of the products in the Creative Destinations Kit are just so wonderful we thought you might want to be able to purchase a few extras. Purchase any or all of the add-ons at the same time you purchase the kit and we'll mail them at the same time with no additional shipping charge! How cute are these darling embellishments?! Sweet, sweet flair and two darling airplane clips. We just can't get enough of them! Have you ever seen such cute wood cameras? The retro-styled wood embellishments are so fabulous with the great dimensional detail. Try them out with this unique add-on. Have you tried out our Maya Mists? This Red Pepper Maya Mist coordinates perfect with the Creative Destinations Kit. It's perfect for misted backgrounds and adding a great color pop as well as adding color to our chipboard die cuts. Maya Road Mist is among the best in the industry so be sure to try it out. We love this 6x6 Destination paper pad. The woodgrain patterns, map print and colors are adorable. One is included with the kit but you just may need more for other projects as well. Check out these sweet Thank You Stickers! They are perfect for adding a quick sentiment to a card or how about adding them as a seal on the flap of an envelope?